#28 NC-TN-VA: Joyce and Jack Parsell at the North Carolina Corner tri-point. #26 GA-NC-SC: Hand-drawn map courtesy of Bill Wentzel (Oct 27, 2007). 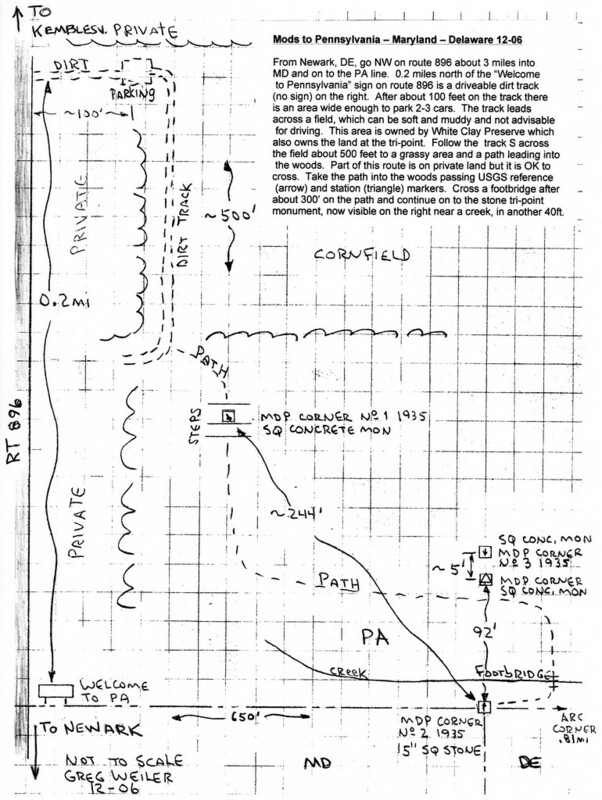 #33 DE-MD-PA: Map of new driving/walking directions to the tri-point courtesy of Bill Wentzel. This entry was posted in and tagged Tripoint. Bookmark the permalink.